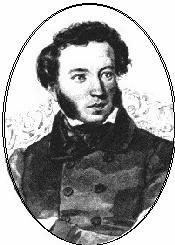 ﻿ Poetry Lovers' Page - Aleksandr Pushkin: "It Grows Thin..."
You are here: Home » Russian Poets » Aleksandr Pushkin » "It Grows Thin..."
Your beam had silvered the plains’ extinguished scopes. The dreamy bay, the highland’s tops and slopes. It woke the sacred thoughts, which slept inside my heart. And waves sing lullabies of the delightful South. And telling her girlfriends my name in ways her own.